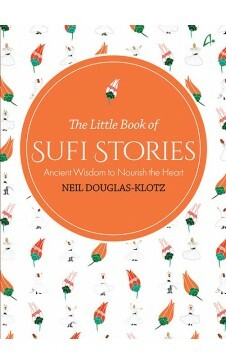 There are 60 short stories in The Little Book of Sufi Stories. These tales reflect a variety of principles, values, and ideas which are entailed by the Sufi mystical tradition. Each story leads the reader to a doorway of an experience that the story points toward. Like a Zen koan, a real Sufi story allows wisdom to arise from the inside. The stories in this book are drawn from the dozens that author has enjoyed telling in his seminars over the past 20 years. Most of them appear in works of the classical Sufis, like Rumi, Attar or S’adi. To preserve some of the in-person feeling and bring the language up-to-date, he has given them his own improvised turns. The goal here is to convey a aliveness that awakens a spark in the soul. Included in this collection are stories about Jesus, Satan, Jonah, and Mullah Nasridden. Neil Douglas-Klotz, PhD, (Saadi Shakur Chishti) is a world-renowned scholar in religious studies, spirituality, and psychology. Living in Edinburgh, Scotland, he directs the Edinburgh Institute for Advanced Learning and for many years was co-chair of the Mysticism Group of the American Academy of Religion. He is also co-founder of the international Network of the Dances of Universal Peace.